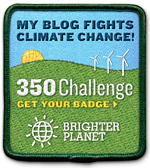 Looking to go green on your phone? Droid can! 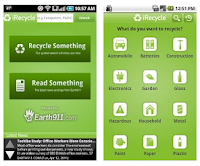 Here are the top free green apps that I have found for the Android phone (iPhone list coming soon). These aren't your average "fact a day" apps, these are amazing apps that can really help you in your everyday strivings to go green (and save some green in the process)! The provided links take you to the Google Play store, where you can see the official app page and also click to have apps downloaded directly to your phone. You recycle? i recycle! This app can tell you what recycling facilities are nearby, their hours, phone number, other materials collected, and driving directions! You can search in the app or widget by GPS, zip code, or city to find out where to recycle over 300 materials! iRecycle also provides green news and recycling tips. Find out what fruits and vegetables are in-season and where you can buy them locally! This app will locate farms and farmers' markets from your GPS and provide information on hours and other details. 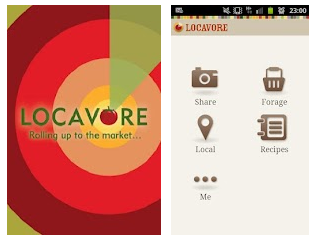 You can also share photos about local and in-season food through the app. 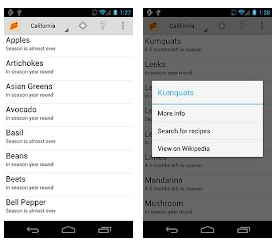 Similar to the app above, Seasonal Harvest helps you determine what locally grown produce is in season in your area. You can search for nearby farmers markets using your state or GPS. Recipes are also provided so that you can figure out what to do with that Kohlrabi once you buy it. Use this app while shopping to scan barcodes and discover if a product or brand is safe, green, socially responsible, and healthy. The app currently covers over 170,000 US products and more are being added every day. 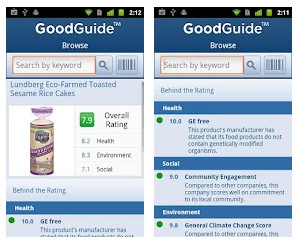 Ratings are based on the environmental, science-based health, and social ratings of the product. This app can help you avoid greenwashed products. 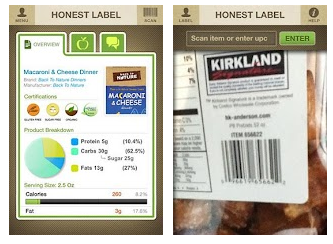 The Honest Label app provides clear, color-coded information on any product in the grocery store just by scanning the barcode. You can also personalize the settings to help you red-flag certain ingredients, which is perfect for families with food allergies or sensitivities. The database is added to daily. This app was developed by the Monterey Bay Aquarium to help you find sustainable seafood restaurants and shops nearby. 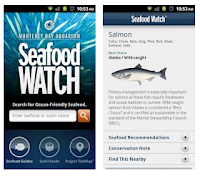 If you can never remember which fish is safe to eat and good for the earth, then this app is for you! Search for safe and sustainably harvested seafood by "Best Choice," "Good Alternative" or "Avoid" rankings, and receive suggestions for alternatives to fish on the "Avoid" list. Users can also contribute information on local businesses as they discover it. Are there other green apps that you love? Let me know, I'd love to try them!